Design Hovie Studios is the company of international graphic designer Hovie Hawk. It was opened in 1998 and has operated out of Seattle, Chelan Washington, and Milan Italy, giving clients a variety of influences from which to benefit. 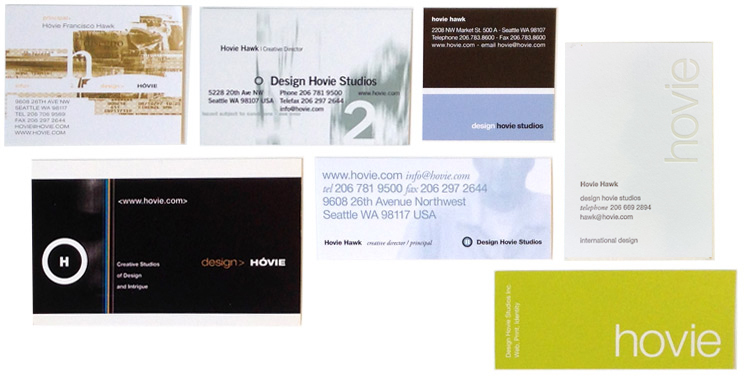 Design Hovie Studios began as Hovie Hawk Design in 1998. Opened as a print design firm, within a few months Hovie began to see a tremendous increase in web design work and by the end of the year his web and print projects were demanding equal time. In early 1999, Hovie Hawk Design became Design > Hovie, and at the end of 1999, Design > Hovie officially became Design Hovie Studios, Inc. In September of 2000, Hovie and European digital agency Winsome Italia began talks about forming a partnership. In January of 2001, Design Hovie Studios and Winsome Italia formally agreed on a partnership and the studio opened its Milan, Italy office while maintaining a scaled down presence in Seattle. From 2001-2002, Hovie created primarily interactive media for European clients. Late in 2002, the decision was made to create a greater balance between its printed and digital work, and between its European and American clients. To facilitate this, Hovie returned to Seattle and entered into a new partnership with Qwentes Italia of Milan. In 2006, Hovie began to see a shift toward more traditional print based graphic design. There was a large increase in brand identity projects and print collateral. Hovie continued the relationship with Qwentes Italia and added Bear Group as a strategic partner. The Studios begin to focus exclusively on design and use partners, Qwentes Italia and Bear Group, for the development of web sites. This refined direction allowed the firm to expand services and branch out in to label and package design, in addition to brand identity, print collateral and web site design. Today Design Hovie Studios develops and manages brands and continues to create print and web designs for clients from all over the world. The studio works with companies of all sizes but specializes in creating brands and related material for small to medium sized companies. The firm's primary office is located in North Beach, and Hovie also maintains a satellite studio in Lake Chelan from May - September. Hovie Hawk has been working professionally in graphic design since 1993. A native of San Diego, California, where he attended the Chula Vista School for the Creative and Performing Arts, he moved to Seattle, Washington to attend the University of Washington in 1989 and graduated with degrees in Graphic Design and in Art. After working for various firms in the Seattle area, Hovie opened Design Hovie Studios in 1998 in Seattle, Washington and has grown the company into a firm with an international presence. In January of 2001, he opened the studios' Milan, Italy office and began a series of ongoing collaborations with Winsome Italia, Qwentes Italia, and Giorgio Galli and Partners. In addition to his role as Creative Director at Design Hovie Studios, Hovie is an Adjunct Instructor at Seattle Pacific University and has worked as an Adjunct Instructor at the Cornish College of the Arts. He currently teaches Applied Typography to Junior level students at SPU. 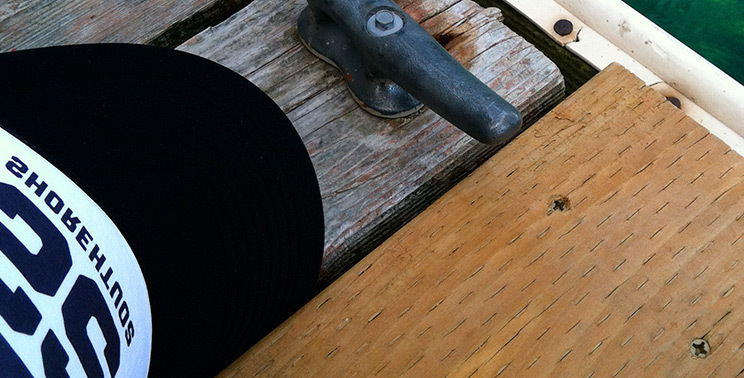 Hovie is a member of the Lake Chelan Chamber of Commerce and the AIGA (American Institute of Graphic Arts). He has also been a member of the Ballard Chamber of Commerce, In Ballard Merchants Association, Phinney Neighborhood Association, King County Hispanic Chamber of Commerce, and Arts Ballard. Hovie's work has been displayed at the Paris and Milan Fashion Weeks, the Superbowl, the NBA finals, the Paris Air Show, the Rose Bowl, and the E3 Electronic Entertainment Expo. His awards include those from Web Design in Italy, Design and Design Paris, Logo Lounge, Neenah Paper, HOW Magazine, Bookbuilders West and the Southern California Exposition. Hovie has been a featured speaker at various events, including being a keynote speaker at the Los Alamos National Laboratory for Interlab 2007, and presenting and serving as a judge at the 2008 Society of Graphic Designers of Canada - Vancouver Island Chapter, Rock Awards.